It’s Friday and I have a Design Team project up on the Just Imagine Crafts Kreaxions Punches Blog. Having played with my mixed media supplies lately I have learned that you really don’t have to wait to let things dry before you go on to the next step and/or my heat gun is my new best friend lol! 1) Using one of those fake credit cards you get in the mail to scrape some Gesso down the page. I kept the direction of my strokes with the direction of the rays on the paper. 2) Using the bottom of a paint bottle I dipped it into some Gesso and stamped random circles on the page. I then used the lid to the paint bottle and dipped it into the paint and stamped on top of the Gesso circles. 3) I used a stencil on the page and scrapped some heavy carvable modelling paste to random areas on the page. 4) I then sprayed some mist to the stenciled areas allowing the mist to run down the page. 5) I created the doily out of coffee filter paper by using the Kreaxions 3 in 1 punch # 306 with no insert along with the circle cutter. To a void tearing the coffee filter paper when punching I backed it with a piece of cardstock. I then sprayed the doily with mist. 6) I distressed the edges of my paper for the photo mat and assembled it. 7) To complete the project I attached the photo mat to the background paper and added the washi tape and all the embellishments. It’s Monday and that means a new challenge is up on the Kaboodle Doodles Challenge Blog. This week the challenge is “Use Ribbon”. I have been doing such a great job of using up my stash! I created this card out of scraps left over from other projects and my Cricut. To be eligible for the prize draw you need to be linked by Sunday, March 2nd. I can’t wait to see your ribbon projects! 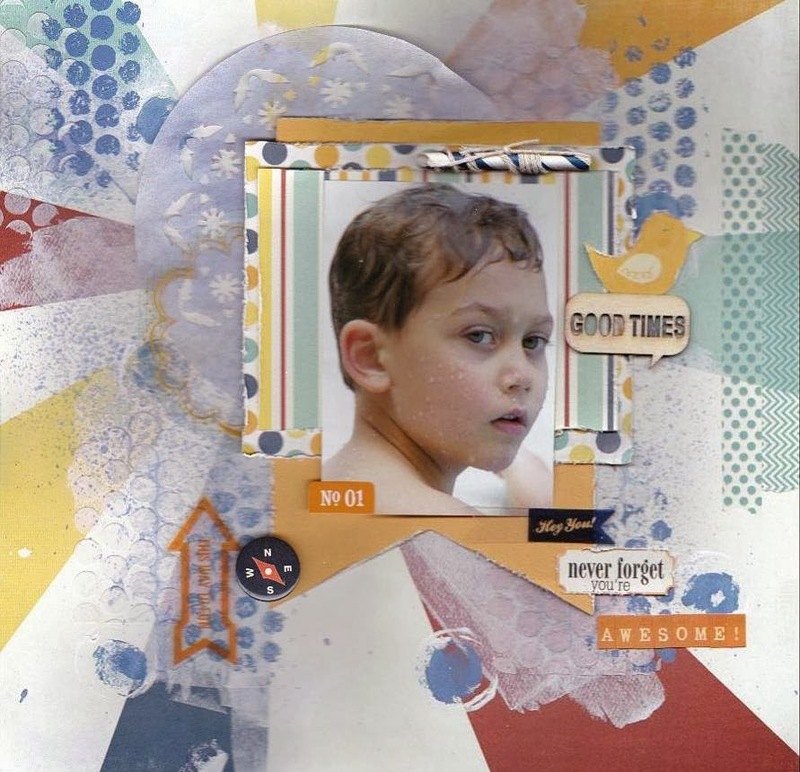 I LOVE the look of mixed media supplies on a scrapbook layout. And although I have dappled with my supplies a few times … I find it time consuming (all that drying time in between layers). So as I sat in my scrappy room going through photos to scrap in dawned on me, why not do what I love. “So I have tapped into my creative side and pulled out my mix mediums to add some eye-catching effects to this layout. Using the Kreaxions 4 in 1 punch #923 with no insert to create the border strip was the perfect touch for this layout. I distressed both the positive and negative pieces and used them. I created this fun card using items from my stash and adding paint splatters. To be eligible for the prize draw you need to be linked by Sunday, February 23rd. One random drawn prize winner will receive 5 digis from QKR. I can’t wait to see your Valentine project! Today is Friday and I have a card up on the Just Imagine Crafts Kreaxions Punches Blog. In celebration of Valentine’s Day I created this card for a special someone. I used the star stencil and the Kreaxions 4 in 1 punch #905 with the A insert to create the doily. I cut the doily in half to fit at the top of the card. I embellished the card with finds from my stash. 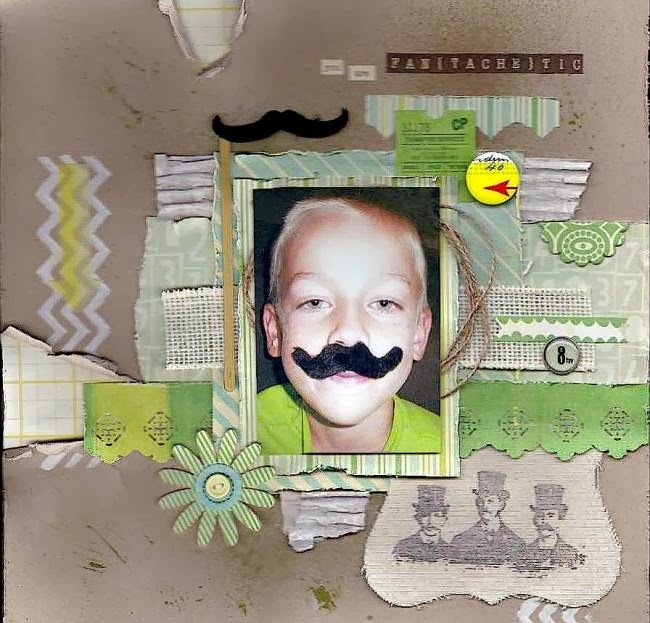 It’s Scraplift Thursday and I have a challenge up at Turtle Soup. Be sure to check out the details in the forum. 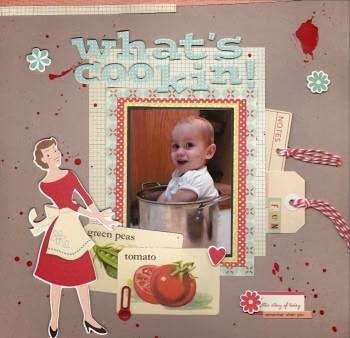 I scraplifted a layout from Tammi (see her layout in the gallery). Hope you will play along with the challenge and I can wait to see what you come up with! It‘s Monday and there is a new challenge on the Kaboodle Doodles Challenge Blog. This week the challenge is: “To My Sweetheart”. I created this Valentine’s Day card using up scraps from my stash. To be eligible for the prize draw you need to be linked by Sunday, February 16th. One random drawn prize winner will receive 5 digis from Digi Darla. I have two projects to share today. 1) The Design Team Reveal is up on the Just Imagine Craft Kreaxions Punches Blog. I created a layout using a photo of our grandchildren (our daughter’s 6 little blessings). The border strip and the large doily are created using the Kreaxions 4 in 1 punch # 905, Template B and the Circle Cutter. 2) Today I’m hosting the Sunday Card Challenge at Turtle Soup. My challenge is to make a card with hearts on it. One of my goals for this year is to use up my hoarded supplies ... I mean my plentiful scrapping bounty. So I created this card with items from my stash. I use a piece of craft cardstock and some string from my stash. I inked the edges with some ColorBox fluid chalk ink (it has to be at least 5 years old). I cut the hearts out using my Cricut and then I stamped and heat embossed them (I guess embossing powder never goes bad). The sentiment is computer generated. Check out the details for the challenge in the Turtle Soup forum. It’s Friday and I have a project up on the Just Imagine Crafts Blog. It’s almost Valentine’s Day and that means treat boxes for some special co-workers. I made these special treat boxes by recycling some of those little plastic containers that you get raspberries in. Working on my goal for this year I used paper from other paper crafting projects and embellishments from my stash. I wanted to add that “something special” and did so by creating fancy edged strips of paper. I used the Kreaxions 4 in 1 punches #902, #903 and # 916. Be sure to check out the Just Imagine Crafts Kreaxions Punches Blog to see the projects from the other designers this week. It’s Monday and that means a new challenge is up on the Kaboodle Doodles Challenge Blog. This week the challenge is: “ Valentine”. I was in an antique store and found a stack of old sheet music. I knew I would find a use for it. I made this Valentine treat cone using my Cricut and the winter Woodland cartridge. Adding a few embellishment from my stash completed the project. To be eligible for the prize draw you need to be linked by Sunday, February 9th..
One random drawn prize winner will receive 5 digis from Eureka.